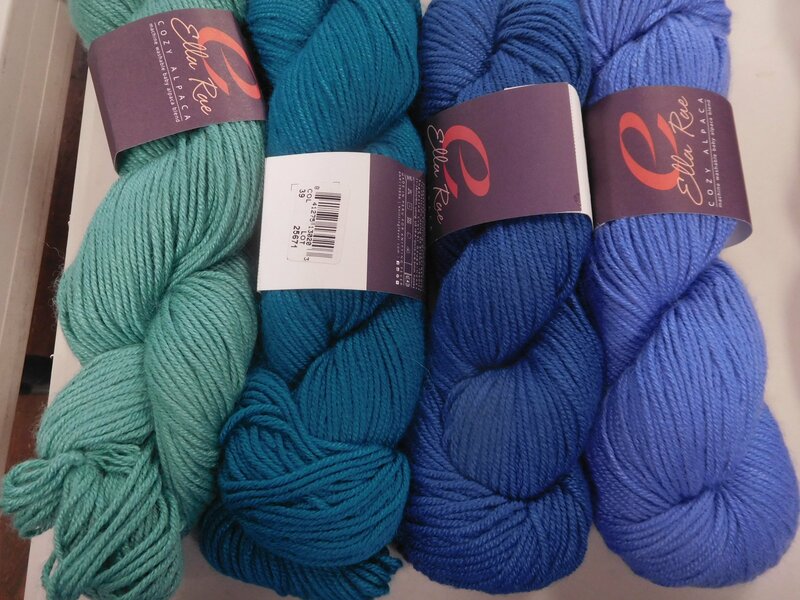 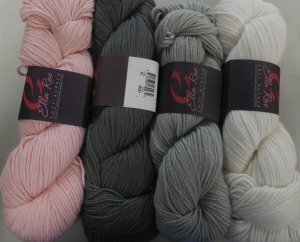 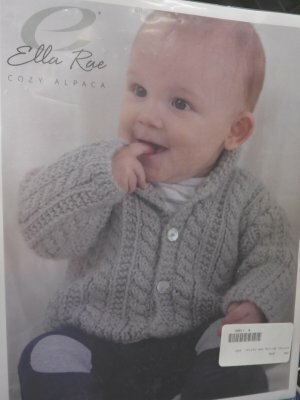 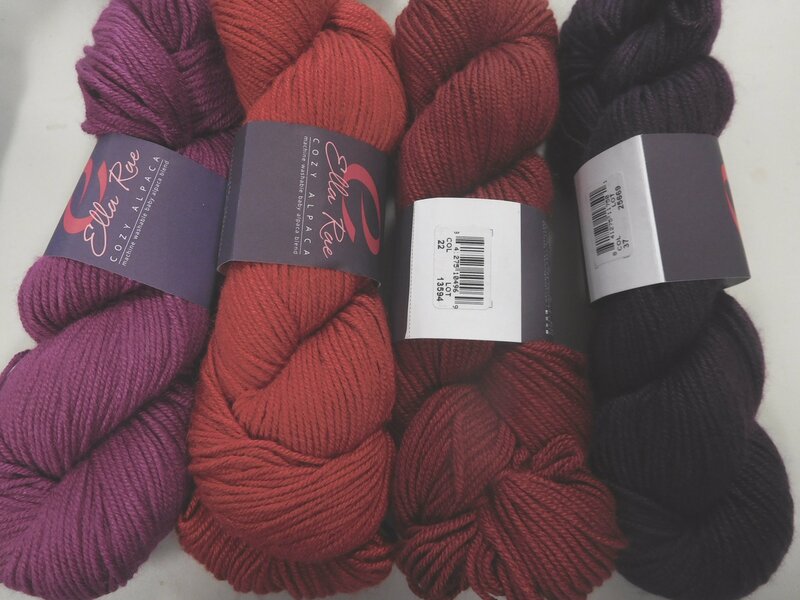 This newest yarn I'm stocking from Ella Rae features all the soft coziness of baby alpaca, but offering machine washability and easy care! And with 178 yards in each skein, it is a really nice option for knocking off cozy, soft and cuddly knitted accessories for the holidays AND what a lovely option for a baby blanket (see photo below of pattern available) or the gorgeous cabled baby sweater! 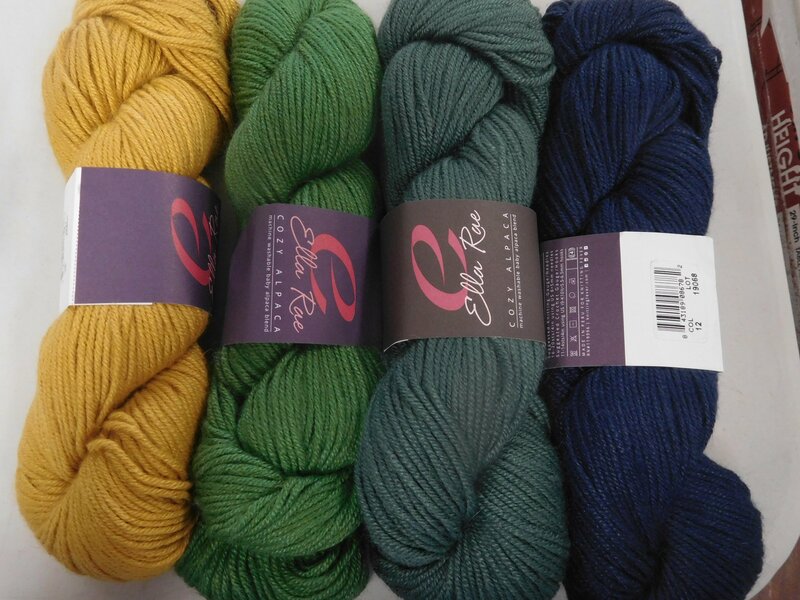 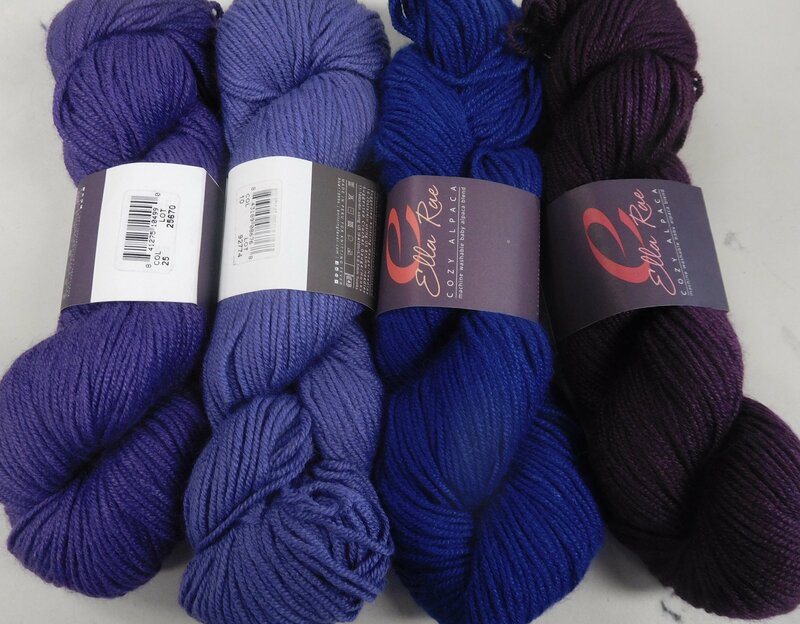 70% acyrylic and 30% baby alpaca, this yarn knits at 4-5 sts/inch on US 7-9. 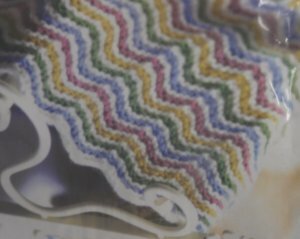 All depending on what you are knitting, how you knit and what sort of fabric you are looking for! 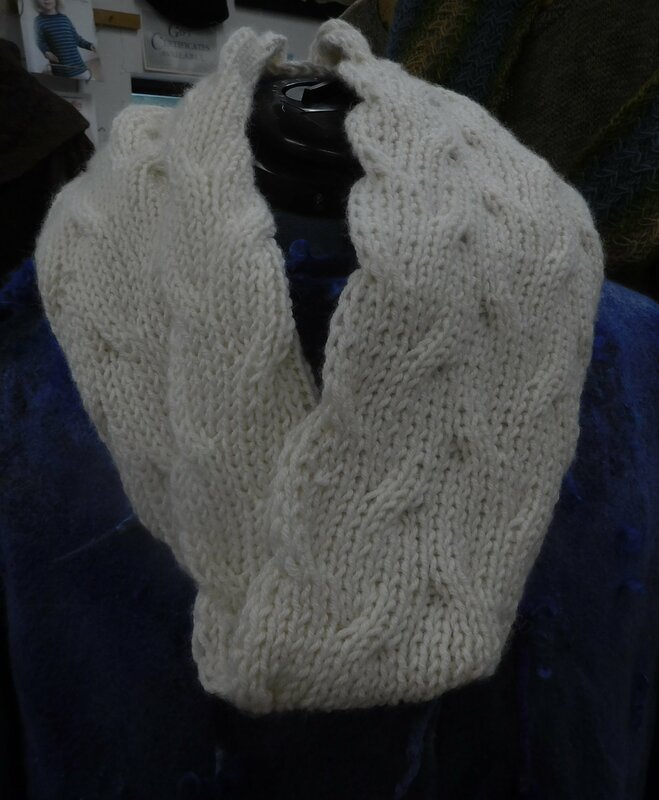 So I personally would knit it on a 7 for a hat or for mittens, but we've cast on the store model (a reversible cable scarf) using US 8. The cowl shown is a simple reversible cable and the pattern is free with the yarn purchase. It takes 2 skeins for the cowl.